Vacuum breaker and air valves are useful tools in the industry for protecting pipelines against vacuum or near vacuum conditions. High points in the pipe can be susceptible to these low-pressure conditions during surge events, as pressure waves moving through the system cause a sudden pressure upsurge or downsurge. AFT Impulse can help engineers to identify if vacuum conditions will be present in their system and help to properly size vacuum breaker and gas release valves to protect the pipeline when these events occur. Here are some considerations to keep in mind when modeling these type of valves to best represent their complex behavior. When defining the Vacuum Breaker Valve in AFT Impulse, there are a few pieces of information you will need: the type of valve, the external gas properties, and the loss when the valve opens (Figure 1). The most common valve type is the Dual Vacuum Breaker and Gas release type. This type of valve is designed to open when pressures in the line drop below the cracking pressure (typically equal to the external gas pressure). As the valve opens gas entering the valve increases the pressure in the line, preventing damage from occurring. After the line is pressurized, liquid flow into the valve forces air out of the valve’s orifice. A gas release mechanism on the valve allows the gas out, then seals to prevent liquid from escaping, as shown in Figure 2 for a simplified vacuum breaker/gas release valve. Figure 2: As vacuum conditions are reached in the pipe, the valve opens letting air in (step a). Once the line has been pressurized above atmospheric pressure, liquid refills the section and enters the valve, forcing the air out (step b). The sealing mechanism closes, preventing liquid from exiting (step c). The next available model is the Vacuum Breaker valve type, which is meant to represent a valve which opens to raise the pressure in a line when vacuum conditions are reached but does not permit any fluid outflow. This prevents any potential loss of liquid from the line, but also causes the entering gas to be trapped, forming a gas pocket at the valve. Typically, this type of valve is used for protection of equipment such as a pressurized tank, and will be located near to the equipment, allowing the gas to be trapped in the tank, rather than having a moving gas pocket in the pipeline. The Gas Release valve type allows for gas outflow from the system but does not allow any gas to enter the system. This typically represents a small valve designed to periodically allow entrapped gas to exit the pipeline, even when the system is pressurized, such as in a system with an open tank where air bubbles may unintentionally enter the system. The gas properties are used to model the external gas at the valve orifice. For the dual valve types and the vacuum breaker valve, this is commonly air at atmospheric conditions, and is set by default for the valve. The pressure of the external gas will be used as the Inlet Cracking Pressure for the valve, which is the pressure at which the Vacuum Breaker Valve junction will open to admit gas flow. The last input that needs to be considered is the effective flow area, or orifice CdA. The area of the orifice, A, will be provided by the manufacturer based on the valve size (typically characterized by the flange size). However, the manufacturer will often not provide the discharge coefficient, Cd. This can be estimated based on the expected pressure ratio and or area ratio comparing the flange and orifice, and is typically estimated between 0.6 and 0.9. There is a white paper on our website linked here which provides an in-depth discussion on determining this based on different standards and equations available in industry. When modelling using the Vacuum Breaker valve junction in Impulse, there a few key assumptions which should be kept in mind. One is that AFT Impulse will treat all pipes as liquid full. This means that if air pockets become trapped in the system at the vacuum breaker valve junction, AFT Impulse will not account for potential movement of this air pocket through the system, though it can indicate how much air has entered/left the air valve. AFT Impulse also will not model the effect of vapor forming elsewhere in the system, then exiting the system at the air release valve, since Impulse cannot model true two-phase flow. In summary, the calculations assume that all gas entering and exiting the system at the valve remains at the orifice, and that gas does not enter the valve from other areas in the pipeline. 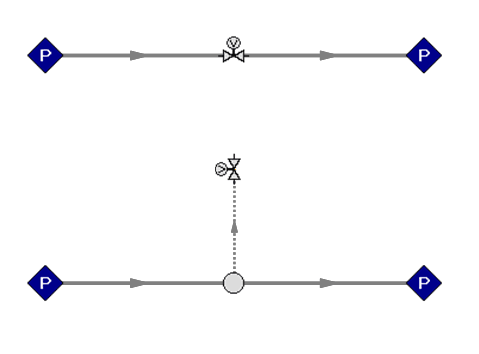 Figure 3: Potential layouts possible when setting up the Vacuum Breaker Valve junction. Sizing your vacuum breaker valve or gas release valve in AFT Impulse is an important step to protect your pipeline and equipment from damage. By keeping these considerations in mind, you will be able to better understand the modelling process for this complex equipment. N. Zloczower, “Pressure Surges and Air Valve Specification, Location, and Sizing,” presented in Workshop on Air Valves, WL Delft Hydraulics, Delft, The Netherlands, 2004. Previous articlePumpMan Expands Capabilities in NYC with the Addition of ABC Electric Corp.
Next articleWhat Are Flushable Wipes?